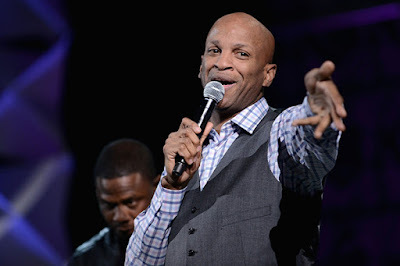 Well-Deserved: Gospel Singer Donnie McClurkin to Accept 'Icon' Award at the ‘Black Music Honors’ . Waw! Iconic. That's a big word and one that will be attached to GRAMMY® Award-winning gospel singer Donnie McClurkin, who has been touching hearts and impacting lives with his rich discography, and powerful vocals for more than 20 years. The Freeport, New York-based pastor of Perfecting Faith Church, whose first album released in 1996, is set to receive the Gospel Music Icon Award at the Black Music Honors. According to a report in Gospel Flava, actor, comedian and radio personality Rickey Smiley and R&B singer LeToya Luckett will host the show, which will be taped on August 18th at the Tennessee Performing Arts Center in Nashville, TN. Among the honorees are The Jacksons, Slick Rick, Guy, Oleta Adams and Jody Watley. Gospel favorites Karen Clark Sheard, Marvin Winans, Latice Crawford, and Jonathan Butler will perform, along with special performances by Avery Sunshine, Dave Hollister, Kid N Play, Leela James, SWV, Da Brat, Sevyn Streeter and more. With all the incredible songs and anointed ministry moments McClurkin, 57, has given his supporters over the past two decades, the award, in his case, is well-deserved. Black Music Honors is to air on broadcast syndication, Sept. 2-30, 2017 and on Bounce TV, Tuesday, October 10, at 7 p.m. (ET).